For the PUBLIC SESSION of October 2, 2018, Aimee motioned to accept the minutes and Annie made the second. All were in favor and the minutes were approved with no discussion. 3. Finance Report: Annie made the motion to accept the finance report. Theresa made the second. All were in favor and the report was approved. 4. Board Chairperson’s Report: Dean stated that there have been a lot of events occurring at AEMS: Open House, Veteran’s Day Ceremony, Halloween Dance, ALMA Data System implementation, Parent Teacher Conferences and Grandparents Thanksgiving. He thanked the teachers for all of their efforts on behalf of the ASB. He is eager to see the results of the upcoming election and how they will impact public education. The newly established safety committee (as proposed at the annual meeting) will convene on Tuesday, November 27th at 6 PM Dean and Theresa will collaborate regarding ASB representation. 5. Principal’s Report: Jane spoke of the Eighth Grade Community Service Projects, the participation of three teachers in the Lakes Region Quality Performance Institute, a preview of the Veterans Day assembly and presentation of the POW chair, Grandparents Thanksgiving, Parent Teacher Conference format, Seussification of Romeo and Juliet auditions, approaching basketball season and the pending new phone system. .AEMS Building Project Update: The SAU is awaiting the final word on the balancing of the heating and cooling systems in the building. Four grant applications are being pursued relating to reimbursement for infrastructure safety projects. 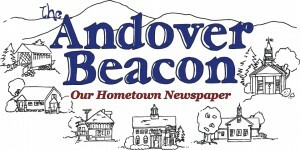 Annie made the motion to accept any grant funding provided to the Andover School District from the State of New Hampshire. Theresa made the second. All were in favor and the motion was approved. A. LRPC School Transportation Joint RFP: Robin explained the Lakes Region Planning Commission proposal, inviting the Andover School Board to participate in a regional school transportation purchasing initiative. Annie made the motion to authorize the LRPC to issue an RFP on the Board’s behalf to take part in a regional school transportation joint purchasing initiative. This means jointly issuing an RFP to purchase school transportation at a group rate. The ASB agrees not to shop around during the joint bidding process so that the group will have a stable purchasing volume for bidders to base their bid price on. The Board further understands that they are under no obligation to accept the joint bid price and terms if it is not competitive for the Andover School District to do so. Theresa seconded the motion. All were in favor and the motion was accepted. B. Budget Preparation Calendar: The ASB and Administration will meet on Tuesday, December 11th and Tuesday, December 18th at 6 PM for work sessions. 8. Manifest Journal Entries to Sign: Aimee moved to approve the signing of the manifest/journal entries. Annie made the second. All were in favor and the journal entries were approved. 9. Superintendent’s Report: Mark continues his work with the Governor’s Task Force (Save Our Summers) on how school start times impact businesses. He is representing students. He recently attended an Administrator’s Association Workshop that focused on finance and operation. There is a continuation of ALMA Data input system exploration. He mentioned the upcoming safety committee meeting slated for November 27th. He looks forward to his serving duties at the Grandparents Thanksgiving event. He commended Sophia Reynolds, Andover and Merrimack Valley’s track star for her recent victory at the Meet of Champions. He highlighted the upcoming “I am College Bound” event to take place at Merrimack Valley High School where college application fees will be waived. 11. Adjournament: Meeting adjourned at 7:10 PM. .